Yup... that's the one. And they have to get the ball back as it belongs to one of their fathers... and signed by Babe Ruth. From the director of The Sandlot comes this fun-filled sequel that proves the power of teamwork and celebrates the magic of friendship. Ten years after the original story, the local dirt field is now "home" to a new group of neighborhood kids who get together to share laughs, show off...and play ball! But the gang faces their toughest challenge as they try to retrieve an irreplaceable model rocket that lands in Mr. Mertle's (James Earl Jones) backyard behind left field—a forbidden territory guarded by a legendary, growling, slobbering beast known as "The Great Fear." I started this movie last night... finished it very early this morning since I couldn't sleep. I went into this one knowing I never seen it before... but after enjoying the first one I went into it with somewhat high expectations. I know that is something you should never do... but I couldn't help it. It turned out to not be quite as good as the first one... but I still enjoyed it. The first movie takes place in 1962... this one ten years later in 1972. While there was still neighborhood kids playing baseball in the sandlot... there wasn't as much emphasis on baseball in this one. Matter of fact... baseball really was a rather small part of it this time around. Other then that though... it pretty much followed the storyline of the first one. Almost scene for scene! This time around one of the kid's father worked for NASA and designed the first space shuttle and one of the kids took the model of it out and launched it at the sandlot. The model of the space shuttle lands in the yard with the huge dog... and the kids must get it back before the father gets back from his business trip. Basically if you seen the first one you also seen this one. Just replace the baseball with the model of the space shuttle and the rest is basically the same. I have mixed feelings about this. I would have liked to of seen a more original storyline... but at the same time I can't deny that I enjoyed it all the same. Brittany Murphy (Don't Say a Word) and Dakota Fanning (I Am Sam) shine brighter than all the lights of Manhattan in this delightful New York fairy tale. Co-starring Marley Shelton (Never Been Kissed), Donald Faison ("Scrubs") and Heather Locklear ("Spin City"), Uptown Girls will make you laugh, cry... and laugh again! Molly (Murphy) is a partying rock 'n' roll princess whose money just ran out. Ray (Fanning) is a fussy nine-year-old whose last nanny just ran out. Only Ray's way-too-busy mom (Locklear) could think that hiring Molly would be the perfect setup for both girls. But as this unlikely pair faces everything from control issues (Ray's, of course) to temper tantrums (Molly's, of course), they discover that sometimes, your best friend can come from the place you least expect! Since I realized I enjoy the work of the late Brittany Murphy... I thought I would give this movie a chance. This is a Disc that I got yesterday in that big package of discs. Unfortunately this one didn't impress me as much as most her others. She was fine in it. The storyline has potential... but I just didn't care for the way it all came together. While I was able to watch the entire movie I struggled to keep interested in it. The film has some boring moments that I couldn't wait to end. It has some sad moments. And it has some fun moments. One thing it didn't have is any laugh-out-load funny moments. I would say this film is pretty much just an average fare. Definitely nothing to go out of your way to watch... but if you are bored one day and have it sitting around or can catch it on cable... it can be a decent way to waste an hour and a half. If you somehow had the chance, would you do your life over? Thirtysomething Mike O’Donnell would. Then one mysteriously magical moment, Mike gets his chance. He’s suddenly back at Hayden High where he’s the star of the basketball team, a total hottie and a classmate to his own teenage kids...which gives Mike a chance to go from not-so-good dad to really cool friend. Zac Efron (Hairspray, the High School Musical movies) and Matthew Perry (Friends) are 17 Again and fabulously funny as the younger and older Mike in a good-time time-warp comedy that proves the best year of your life is the one you're living right now. I originally seen this movie on On Demand... and at that time I really didn't care for it... as you can see by my old review HERE. But when I got the chance to get a free copy of the movie I thought why not give it another chance. After all it does have Matthew Perry and Michelle Trachtenberg in it... and I usually enjoy the both of them. Well today I thought I would go ahead and bite the bullet and give it another go. Kind of a get it over with type thing. As it turns out I am glad I gave it a second chance. While it still not good enough to get onto my favorites list... it is better then I thought it was the first time I watched it. I was surprised when I found myself enjoying it this time. Still I would say it is no more then an average movie... but at least I am not sorry I have it in my collection... and I could even see myself watching it again at some point. Zoinks! 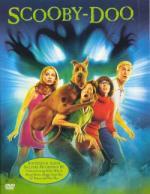 Two years after a clash of egos forced Mystery Inc. to close its doors, Scooby-Doo and his clever crime-solving cohorts Fred (FREDDIE PRONZE JR.), Daphne (SARAH MICHELLE GELLAR), Shaggy (MATTHEW LILLARD) and Thelma (LINDA CARDELLINI) are individually summoned to Spooky Island to investigate a series of paranormal incidents at the ultra-hip Spring Break hot spot. Concerned that his way cool theme park might truly be haunted, Spooky Island owner Emile Mondavarious (ROWAN ATKINSON) tries to reunite those notoriously meddling detectives to solve the mystery before his supernatural secret scares away the college crowds. Scooby and the gang still have to overcome their personal deffierences and forget everything thay think they know about fake ghouls and phony creatures to crack the case, save themselves and possibly...the world. RUH-ROH! I haven't watched this movie since it was originally released on DVD. That was back in late 2002. I can't believe it is going on 10 years already. I use to watch the Scooby Doo cartoons all the time when I was a kid. I think they did a fine job bringing it to live action. While it is live action, it didn't loose the cartoon feel. I think they did a good job casting the characters. I especially liked Sarah Michelle Geller as Daphne. Sure, the movie is geared more for the kids... but I think any adult that watched Scooby and the gang during their childhood will enjoy it too. I know I enjoyed it. It is something that brought me back to my childhood, but at the same time something that is modern. This DVD was in the package I got yesterday. And was glad to be able to watch it again. Unfortunately it is the full screen edition. But I hope to upgrade to the widescreen eventually. 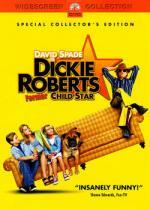 In the 1970's, Dickie Roberts (David Spade) held the keys to success as a child star with a hit TV series. Now the only keys Dickie holds are the ones that start the customer's cars that he parks as a valet attendant for a Hollywood restaurant. Desparate to revive his acting career, Dickie tries to audition for a role in Rob Reiner's new movie but the director doesn't believe Dickie is normal enough to play the part. Determined to get the role, Dickie hires a "typical" family to give him the real-life upbringing he never had. But once Dickie moves in, the family's life becomes anything but normal as Dickie unleashes his wild inner child... and learns in the process some unforgettable lessons about fame, fortune and family values. Co-starring Mary McCormack, Jon Lovitz, Alyssa Milano, and many former child stars including Danny Bonaduce, Barry Williams, and Leif Garrett. I really wasn't sure what to think going into this movie. I thought it looked pretty silly going by the trailer. And it definitely was that. But I enjoyed it quite a bit all the same. I found it to be just a fun show. Silly as can be in parts... but lots of fun. Of course it probably helped that I was familiar with a lot of the child stars that made appearances in this movie. And there is a lot of them that make an appearance. Matter of fact there is a montage of them right before the end credits where they all get together singing a song about being child stars. Not to mention a good handful through-out the movie as well. I did get a few good chuckles out of the movie. But those chuckles were pretty few and far between. I think recognizing the child stars was where I got most of my enjoyment from in this one. Thousands of years ago, the great Child King Tutankhamen ruled. Few know the details of his life—no one knows the secrets of his death. All that is about to change. Free-spirited archaeologist Danny Fremont (Casper Van Dien, Sleepy Hollow) is certain that if found, King Tut's Emerald Tablet would hold the power to control the world. Unfortunately, the only one who believes Fremont is his nemesis archaeologist Morgan Sinclair (Jonathan Hyde, Titanic), a member of a secret society who wants the tablet to harness unspeakable evil on the world and will stop at nothing to get it. This one was a two night mini-series that originally aired on the Hallmark Channel. I never got to see this when it originally aired... so was very pleased when I found out a friend was giving it to me. It is in a set of 2 mini-series along with Merlin's Apprentice. Which I also missed when it originally aired... so was twice as thrilled. Especially since I remember really enjoying Merlin. This isn't the normal disturb the tomb and you are cursed type of thing. They decided to go a completely different direction then that. While I can see how some may not like this... I enjoyed it quite a bit. I found it to be an interesting and entertaining way to spend almost 3 hours. It didn't feel that long while watching it! I tend to shy away from anything that is around 2hrs or longer... but this one was worth the time put into it. The storyline is interesting. The characters are likable. And the effects are pretty good as well. I really don't have anything here to complain about. Well, a couple extras would have been nice... but other then that... no complaints. Well... lets put it this way... it would definitely have to wait it's turn until I feel up to it! Europe will never be the same after Scotty Thomas and his buddies take off for express to excess! They're hooking up with hot strangers and jamming all the extreme insanity they can into the wildest trip of their lives! No swimsuit, no problem. Let it all hang out 'cause you're diving into the totally wild pleasures of Eurotrip UNRATED! This is a movie I heard about a lot over the past several years. Many of my friends told me how good it is and how I had to see it. So when I got a copy in my latest package of DVDs I couldn't wait to check it out. While it isn't a bad movie... I would even go as far as saying it is a good movie... but I think I went into it with a little too high of expectations. I definitely enjoyed it... was a fun way to waste an hour and a half... I don't see what all the fuss was about. My favorite character of the movie was Jenny played by Michelle Trachtenberg (Buffy the Vampire Slayer, Mercy). While I did get a few chuckles out of it... there really wasn't any laugh out loud moments in it for me. Don't take it wrong... the movie is definitely worth seeing. Just don't make the same mistake I did and go into it with too high of expectations. I think Eurotrip is the one of the better of this kind of comedies. Like I said... I really think I went into it expecting too much. there really wasn't any laugh out loud moments in it for me. The bit where Trachtenberg's character kisses her brother cracks me up every time. That part was pretty good... but it would have been better if it wasn't shown in the trailer. I had already knew it was coming. Took away from it a little bit for me.